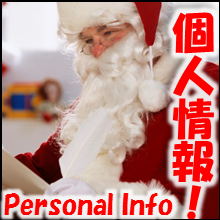 "Add Log" of Personal Information is Very Important! The following is a Workflow only for managing Prospective Customer Information. 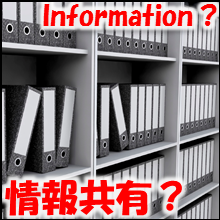 It is assumed to be transmitted such as 'Zip code', 'Country', 'Organization', 'Position', 'Name', 'Email Address' as main data, and 'email delivery agreement' (flag), 'prospectivity' (rating). You can say this is 'Usage like a Database'. But you should be careful that there is only adding of data one after another, it is not focused on "updating" or "Deleting". That means, you will need some kind of scheme when utilizing the accumulated data, such as narrowing down by the date or by the operator. As well as it is an idea that will be required for utilizing so-called 'Big Data', there are many cases that you should give the priority to "adding" new information, and suppress the cost for "updating" and "deleting". Speaking specifically, you should not use "business card information of more than three years ago", unless you have to. Talking about Business Record, 'in the paper' is the standard. A variety of information will be recorded in the paper such as 'Invoices', 'Orders', 'Contracts' or 'Meeting minutes' and so on. The basic idea about this is mostly from medieval or Roman era. The point is wanting to leave a proof. However, managing the paper is not easy. First of all, 'information searchability' is quite low. Moreover, almost impossible 'to share information'. 21st century, information terminal has become extremely popular. We must change the idea of 'leaving proof is just enough!' to 'To record the business data in a form that is easy to utilize'. We need to promote the digitization / electromagnetic recording, even a little bit. The following is a workflow that attempting to record the "postal shipped from the company" electromagnetically, even a little. It is focused on to record exactly the original digital data and processed time, instead of to making a copy with the copy machine and closing it to the binder. In case the document requires a signature, you can add 'scanned data'. There is not a few people whose business is to write "Proposals". A Sales person in IT industry, a planner in ad agency, a consultant for government, etc., etc.... Those proposal writers would tend to be a 'lone wolf'. That means their writings could be hardly accumulated as 'know-how' and would have less reusability. Even if a rule to 'backup in the file server' is given, it will not lead to Centralized management just because of a reason: 'CUMBERSOME'. Most of these proposal files profoundly slumber in some folder on someone's personal computer. These files should have been shared with everybody. 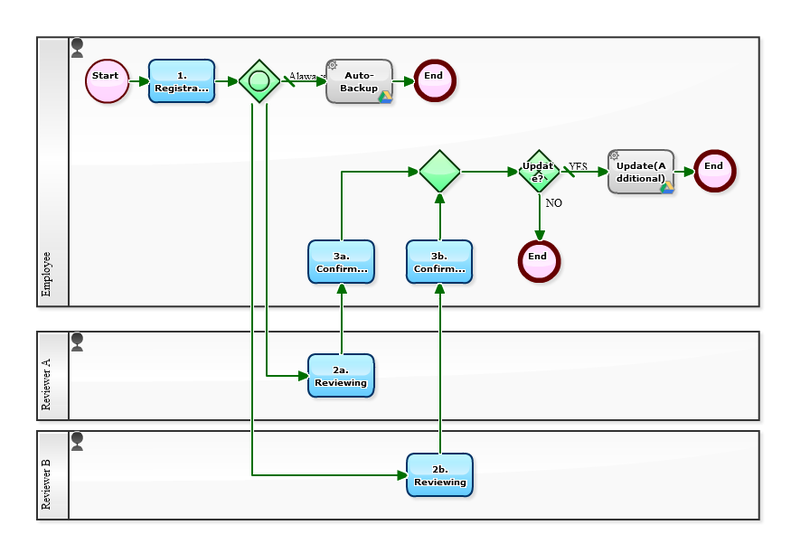 The following Workflow is defined an activity of 'reading somebody else's Proposal', as a 'Task'. When you talk about Workflow, it is Expense Claim. In the following workflow, a Process will be started 1st day of each month. That is, to be allocated a Task of 'Expense Claim of this Month' to all the employees. The deadline is the end of that month. It is as if 'handing out an Expense Claim form paper on the first day of the month' in the real world. After that, employees input expense data each on occasion and save it. The Process will not go forward. And when it comes to the end of the month, and all input is completed, click on the [Claim] button. The rest of the process is clear at a glance over the flow diagram. It must be approved at [2. 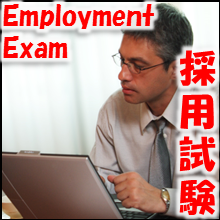 Supervisor's Approval] and [3. Accounting's Approval]. If there are correction needed, Task of [1a. Correction and reclaim] as referring back will occur. 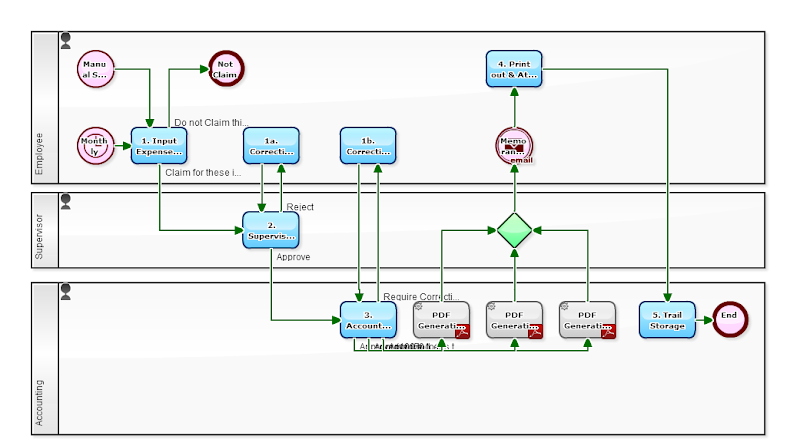 By the way, this Business Process is defined to create PDF file automatically after the claim has been approved. 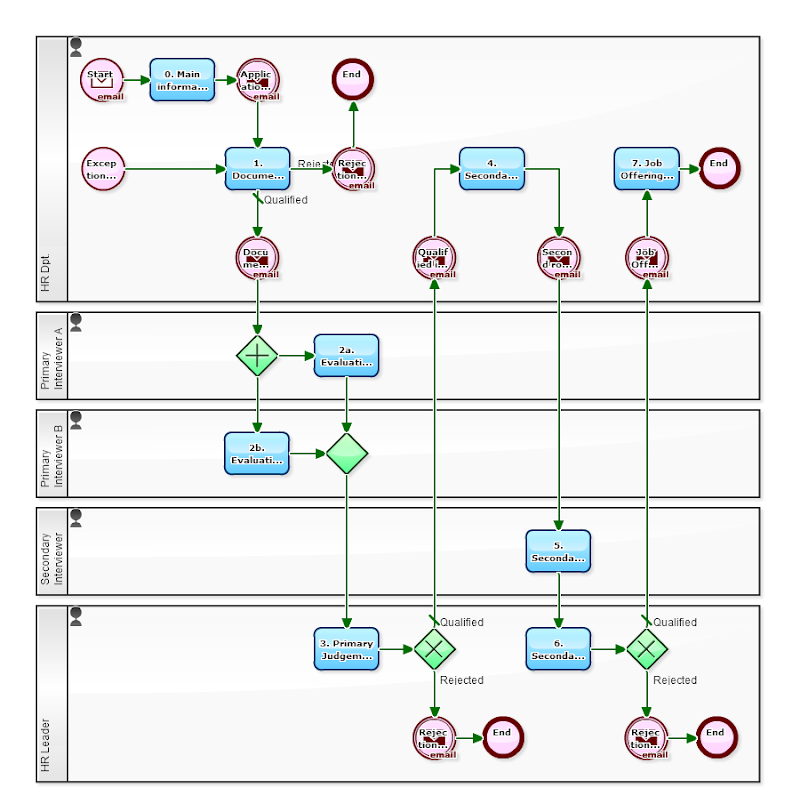 The Workflow product (BPM product) must be capable of outputting PDF using business data. * Of course, we strongly recommend you Questetra BPM Suite.